What a romantic spot! 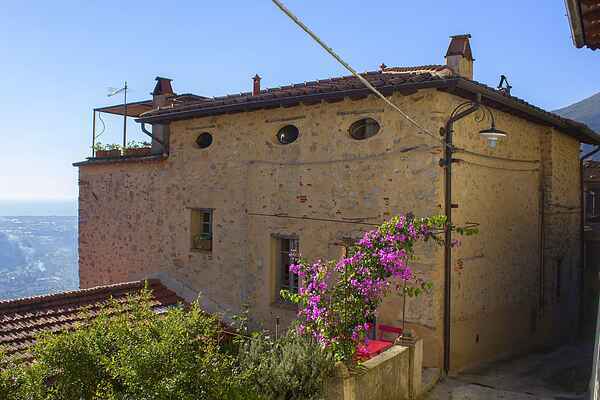 Borgo Metato is a fabulous estate with a spacious layout. You can tell that the owner is an architect, and that this project is very close to his heart. The abundant outlooks and play areas throughout the grounds are connected by stairways and steep paths. Yet the estate offers plenty of privacy at the same time, since the areas are separated by the terraced grounds and the many trees. There is a fantastic view of the little villages situated below. There is a small pasture with a donkey at the very top of the grounds, which the kids are sure to love! Guests of all ages can enjoy a game on the boules court, located near the top of the estate. Here you will also find a long dining table situated at a unique vantage point, available for anyone's use at any time. You can follow the stairway up even further, where you will find more seating. From here you have a beautiful view of the hills, the sea and even, when the weather is clear, Isola d'Elba. There is a little shop where the owner sells home-made olive oil and Tuscan wine, among other products. There is a B&B next to the structure, where you can enjoy breakfast and dinner during the summer months. There is WIFI at the reception.